Looking for apartments for rent near Holy Family University? Situated on 17 lush acres in Bucks County, Orangewood Park offers a tranquil community that enhances focus whether you’re continuing your education or furthering your career in it. 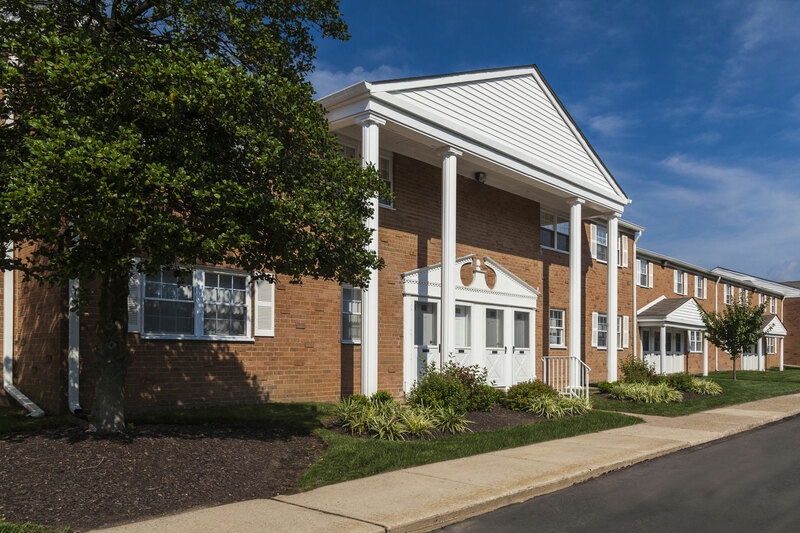 Our Levittown apartments are located just minutes from the area’s multitude of educational opportunities including Holy Family University. Our spacious one- and two-bedroom floor plans featuring quality amenities are the perfect home base between classes. Located just over 20 minutes from Orangewood Park, Holy Family University has been Roman Catholic liberal arts education since 1954. The school’s main campus, located in Philadelphia, offers undergraduate and graduate programs, while its satellite campus in Bensalem is home to its accelerated programs and the Newtown location has graduate programs, accelerated program courses, an undergraduate program in education, and corporate training programs. Serving just under 2,000 students, this intimate university offers a uniquely supportive atmosphere paired with quality education. Our apartments for rent near Holy Family University offer the perfect location to live and learn. Set in Levittown, Orangewood Park is just minutes from major thoroughfares putting Philadelphia, Trenton, and the New York metropolitan area within easy reach. Less than 10 minutes from your front door lie I-276 and I-95. Looking to stay closer to home and take care of your weekly errands? The Levittown area is home to a multitude of amenities from grocers to restaurants, boutiques, and more. No matter what you need to keep yourself going, you’re sure to find it right nearby. Orangewood Park also features a host of on-site amenities to help you relax when you’re not in class like our sparkling pool and picnic grove with barbecue grills. Our convenient resident hub provides enriched social networking opportunities, direct communication with on-site management, and a convenient online rental payment system. Contact us today to find out more about our apartments for rent near Holy Family University and schedule a tour of your next new home!